Formerly Netshops, Hayneedle is a Top 20 online retailer hosting a wide array of niche stores with unparalleled selection. They have been named the fastest-growing online retailer by Inc. and Internet Retailer magazines. 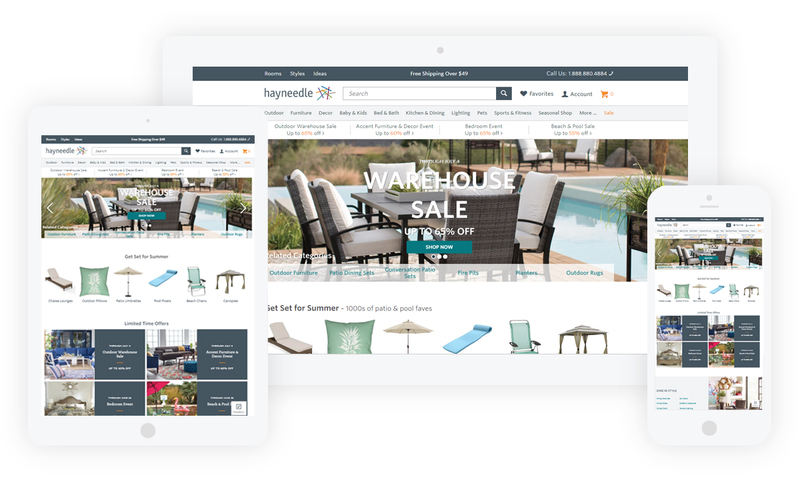 As a collaborative effort, Hayneedle asked me to help redesign and develop their corporate website. Working with their internal marketing team, I used color and a high level of organization to engage a diverse user demographic, highlight different company channels, and deliver an abundance of content.